There are lots of themes in WordPress. In which Drag-N-Drop Page Builder theme is also good for making a theme very fast n easily. Lots of the features are available in different themes like responsive design, compatible with all browsers, easily customizable, SEO friendly, WooCommerce-Compatible, mega menu etc much more. 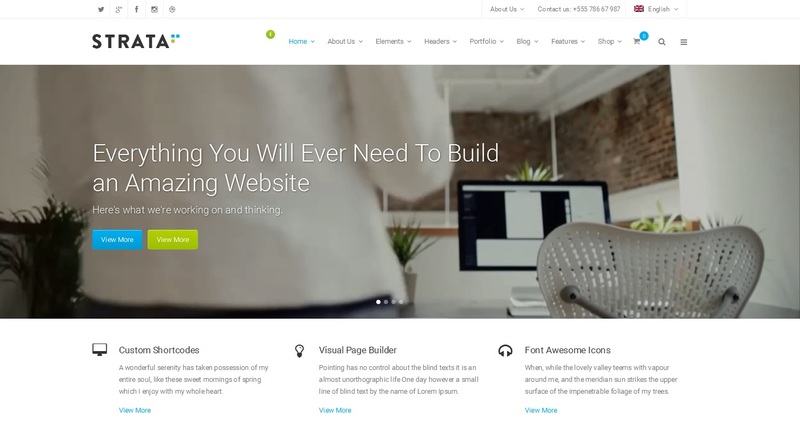 Divi is the Ultimate WordPress Theme and Visual Page Builder. Divi is made by the Divi Builder, an insanely fast and incredibly intuitive front end editor like nothing you have seen before. It will change the way you build websites forever. No need to open up a settings panel to add text content. Just click onto your page and start typing! Divi comes with 46 different content elements. Mix, match and build just about anything you can imagine etc many more features in this theme. 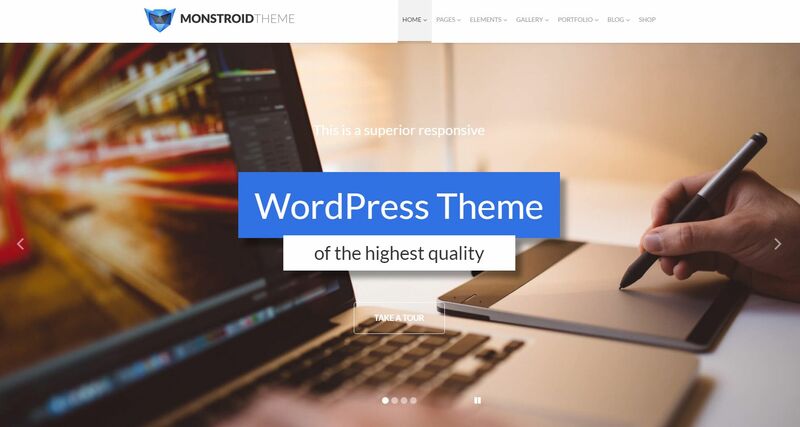 Monstroid is A very modern and interactive theme, with multiple layouts. It has up to the dozen of child themes and 23 built-in plugins that provide extensive customization options. It can be used by big businesses or for creative purposes. Zerif Pro is a multiple-purpose fully responsive designed theme. It is adjustable to any device. If you want to create awesome-looking content quickly, what you need is a top-of-the-line drag-and-drop content builder. It just so happens that Zerif Pro comes fully compatible with SiteOrigin Page Builder. Avada is WordPress multipurpose theme and includes almost everything you need in creating a website. It is responsive as well as flexible also. The powerful Fusion Builder allows you to visually drag and drop elements to build a distinctive web page that stands out from the crowd. This theme supports WooCommerce plugin to make it easier for you to showcase your products or services online. Extra is also a page builder theme with Advanced Mega Menus. Extra takes the Divi Builder framework and extends its advanced Drag & Drop builder power to work on your homepage and categories with a brand new set of post-based modules. Strata is a drag-and-drop WordPress theme builder. It has lots of the features which we can use. No coding knowledge is required to use the composer. The header is Fully Customizable with Fully Customizable Mega Menu. It has a blog with Masonry Layout. Beaver Builder is a simple but powerful and flexible drag and drops design system. Beaver Builder’s page builder plugin can be used with any theme and you can switch themes without losing your content. Even if you decide to stop using Beaver Builder, your content gets ported right back into the WordPress editor. Ultra is the most powerful & flexible WordPress theme created by Themify. Take full control of your theme design from header to footer. Ultra is a must-have theme for designers and developers. Create unlimited layouts using drag & drop. Responsive layouts, slider background, video background, parallax scrolling, custom styling, animation, and more. Enfold is a beautiful and well-designed theme. This theme offers various website template design, brilliant customer support and fully optimized for speed. It is fully responsive and runs smoothly on different types of mobile devices so all your target visitors could access your website no matter what kind of device they prefer to use. Thanks for reading this article. Let us know you in the comments and remark below.